A federal appeals court denied President Donald Trump’s revised travel ban from being reinstated on Thursday, echoing the concerns of previous court rulings that described it as discriminatory and intolerant of religious beliefs. The ban, which attempted to restrict travel to the United States from six Muslim-majority countries, is now on its way to the Supreme Court. 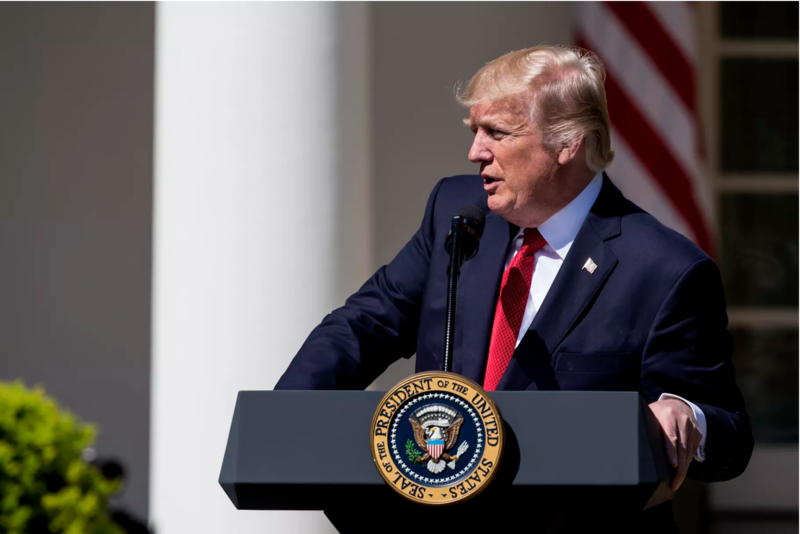 Previously, courts have veered away from directly interpreting Trump’s comments during his political campaign, relying heavily instead on the substance of the legislation. This time around, though, the judges weighed in, some saying that he never withdrew his inflammatory and discriminatory comments made during the campaign trail. “Then-candidate Trump’s campaign statements reveal that on numerous occasions, he expressed anti-Muslim sentiment, as well as his intent, if elected, to ban Muslims from the United States,” wrote Judge Gregory. Jeffrey B. Wall, the acting solicitor general of the United States, insisted early this month that this is “not a Muslim ban” and that the court should not consider Mr. Trump’s motives when assessing the executive order. “It has nothing to do with religion. Its operation has nothing to do with religion,” Mr. Wall said. The Supreme Court, now a full panel of nine justices with Justice Neil Gorsuch on the bench, will most likely sideline the 4th Circuit Court’s decision to give context to the immigration ban by including Trump’s previous comments on excluding Muslims from entering the U.S. However, the discussion is already tainted and Trump’s actions–approaching former New York City Mayor Rudy Giuliani and asking him how to legally implement a Muslim ban, the highly discriminatory nature of how and which countries were listed and the inefficacy of the ban–should not be ignored in case of an appeal. Eyes now turn to the 9th Circuit in California which halted Trump’s first attempt at the immigration ban and just heard arguments last week in a case brought up by Hawaii against his second. Judges have not indicated when the decision will be made.